Say Kongunadu style Mutton biryani. Well, not exactly but this is how all type of biriyani’s are cooked at my home since I remember. But the marination part has never been done, since I get tough meat here I started marinating. Meat tenderizer can also be added while marinating, but I skipped that step. 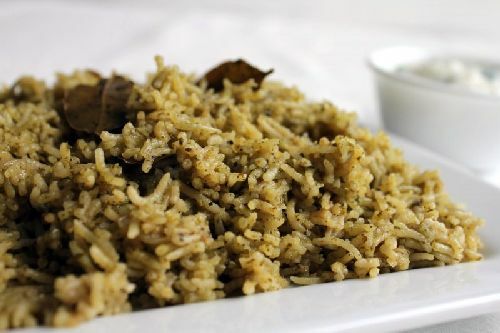 Hmm… Sunday with biriyani cooked at home for lunch, who would say no. I normally skip breakfast on Sundays and I start counting the minutes as soon as my mom starts preparing. The aroma spreads the house makes u to feel more hungry. When my mom says it’s done, yes that’s the moment I have been waiting for and I eat more than usual. I should say biryani with some non-veg gravy and raitha is the great combo I have ever had. 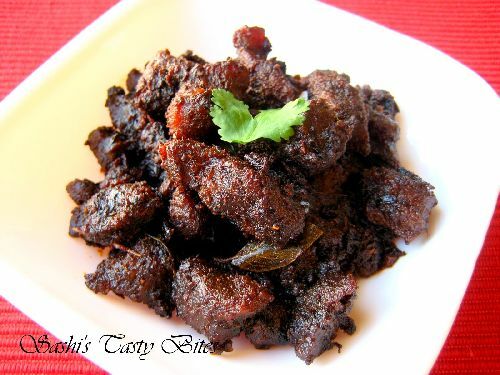 Cut mutton in to small pieces and wash it. Marinate this with the items given in ” To Marinate ” section for at least 1 hr. Grind the items given in ” To grind ” section. Chop the coriander and mint leave, slice the the Onion length wise , chop the tomatoes given in “To Pressure Cook ” section. 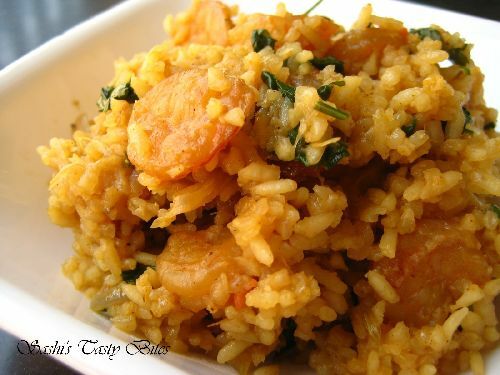 Soak basmati rice for 10 min. In a pressure cooker heat oil and ghee, when hot, add bay leaves, cardamom, cinnamon, cloves, start anise, black stone flower and onion. Saute well till it turns golden brown. Add the ground paste and fry till the raw smell leaves. Add the tomatoes, green chili, mutton, salt, coriander leaves and mint leaves and cook for 1 whistle. When the pressure is released, add the water. Let it boil. Add the rice and taste for salt. Add the rose water. Allow it to cook for 2 whistles. Reduce the flame to the lowest setting and allow it to stay for 1-2 hrs for the dum process. Add cashews at the end. 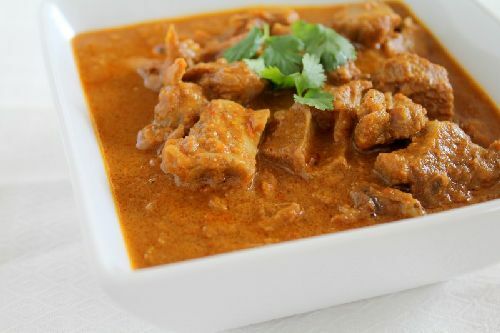 Over night marination of mutton in refrigerator makes it more juicy and flavorful. I normally drain the excess fat in the mutton by boiling it in hot water for about 10-15. After this marination can be done. I never felt the difference in taste, but if you are looking for the original taste, skip this step. Grind coriander and mint leaves, it enhances the taste. Dum process cooks the rice well and makes it fluffy. But this step can be skipped. Or Will there any change in the taste without dum? 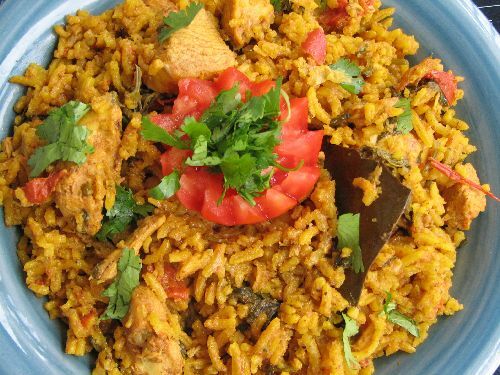 I was wondering how to adjust the ingredients if I were to make the biriyani for 5 people? Becky, double the ingredients should be good for 5 people. Do we need to soak the basmati rice ahead?? And do u mean, for 1 1/2c rice we should use 2cups water including the stock from cooked mutton? Kindly help.. Am a beginner ..
Soak basmati rice for 10 min. Just updated the recipe as well. 2 cups of water should be enough with the stock from the cooked mutton otherwise you wont get it fluffy and separated. More water would make it soggy. Hope this helps. This is awesome, I did aloot of research of mutton biriyani..and finally chose this one to make for Christmas.. I made this..and it turned out toooooo goood!! I shared with my neighbours! And my husband loved the biriyani! Thank you so much, for sharing !! waiting to try yr other recepies! Thanks Sumi. Thats sweet … Glad you guys liked it. Hope you have tried out my other recipes and u liked them tooo. This recipe sounds sooooo yummy…. 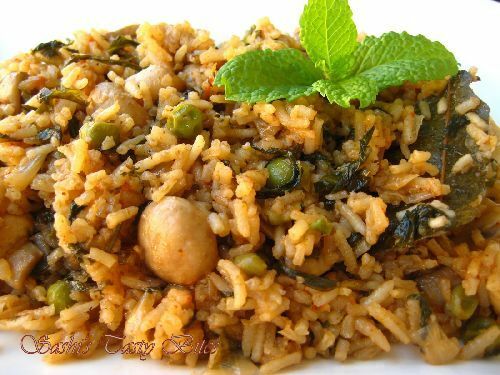 Is Jeera Samba Rice available at Indian Grocery stores? Is there a particular brand that I should buy? Ritu, I brought Jeera Samba from my Local Indian Groceries only and I didn’t buy any specific brand as there was only one available. But check it out in ur local store, I am not sure if many of the Indian Groceries have it. Looks so flavorsome and delish!!! Very aromatic ans spicy mutton biryani, i too prefer jeera samba rice instead of basmathi, missing this yummy biryani a lot. Picture looks drool worthy da. 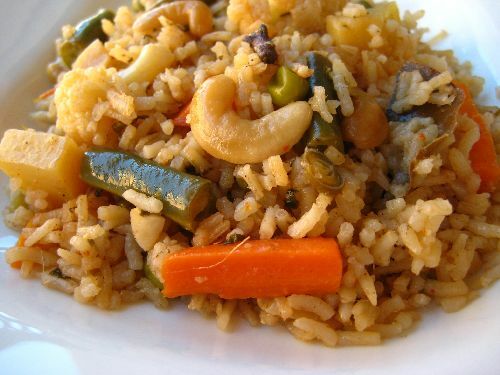 The list looks big but then when its nambha oru style biriyani, list perusa thaan irrukku but the taste is so unique and looks very yummy!!! 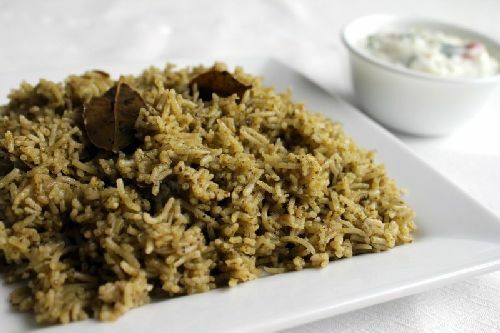 mutton biriyani looks great…Somehow I like the jeeraga samba rice than Basmati..
Wow! Mutton biryani looks fantastic! Very useful tips!